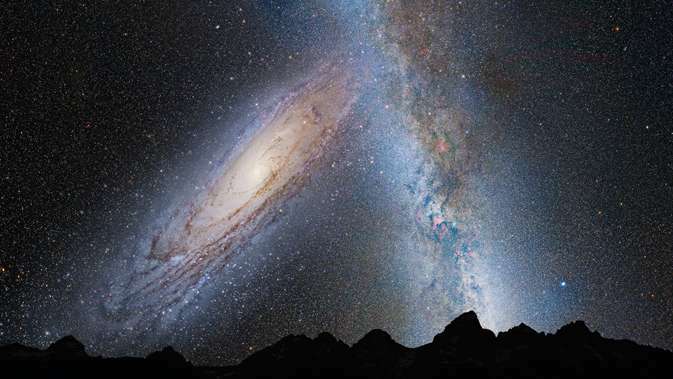 We don't want to scare you, but our own Milky Way is on a collision course with Andromeda, the closest spiral galaxy to our own. At some point during the next few billion years, our galaxy and Andromeda – which also happen to be the two largest galaxies in the Local Group – are going to come together, and with catastrophic consequences. Astronomers have know about this impending collision for some time. This is based on the direction and speed of our galaxy and Andromeda's. But more importantly, when astronomers look out into the universe, they see galaxy collisions happening on a regular basis. Galaxies are held together by mutual gravity and orbit around a common center. 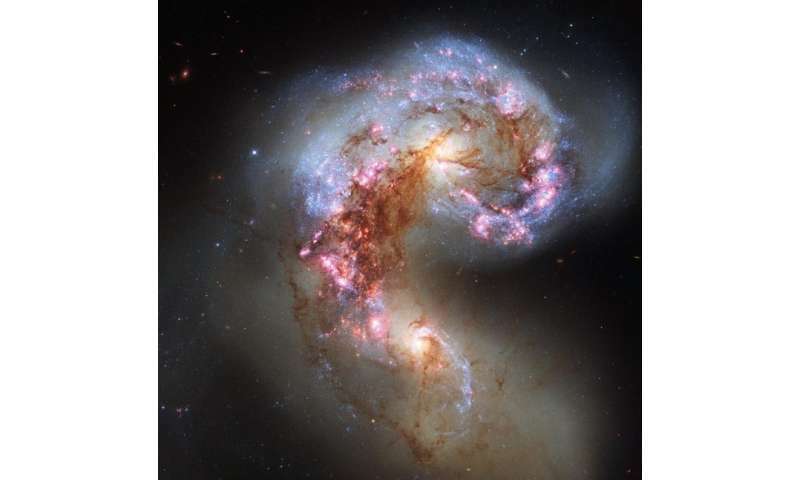 Interactions between galaxies is quite common, especially between giant and satellite galaxies. This is often the result of a galaxies drifting too close to one another, to the point where the gravity of the satellite galaxy will attract one of the giant galaxy's primary spiral arms. In 1929, Edwin Hubble revealed observational evidence which showed that distant galaxies were moving away from the Milky Way. This led him to create Hubble's Law, which states that a galaxy's distance and velocity can be determined by measuring its redshift – i.e. a phenomena where an object's light is shifted toward the red end of the spectrum when it is moving away. 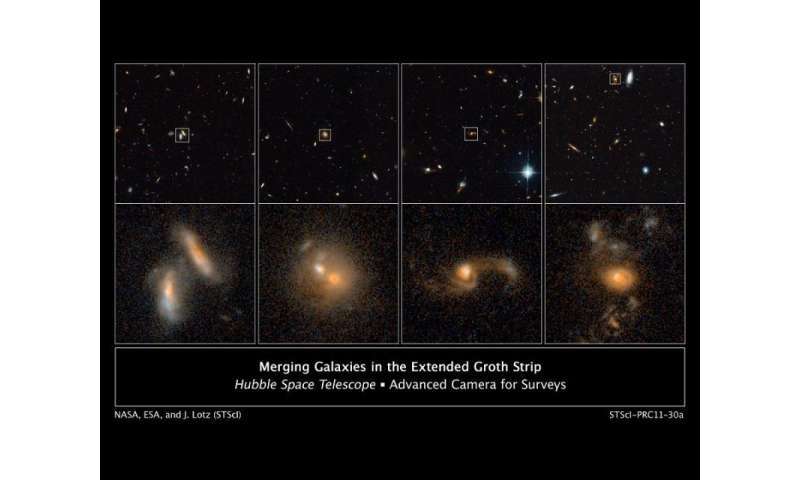 After this period of rampant star formation, galaxies run out of fuel. The youngest hottest stars detonate as supernovae, and all that's left are the older, cooler red stars with much longer lives. This is why giant elliptical galaxies, the results of galaxy collisions, have so many old red stars and very little active star formation. ASSUMPTION: by committed merger maniacs. 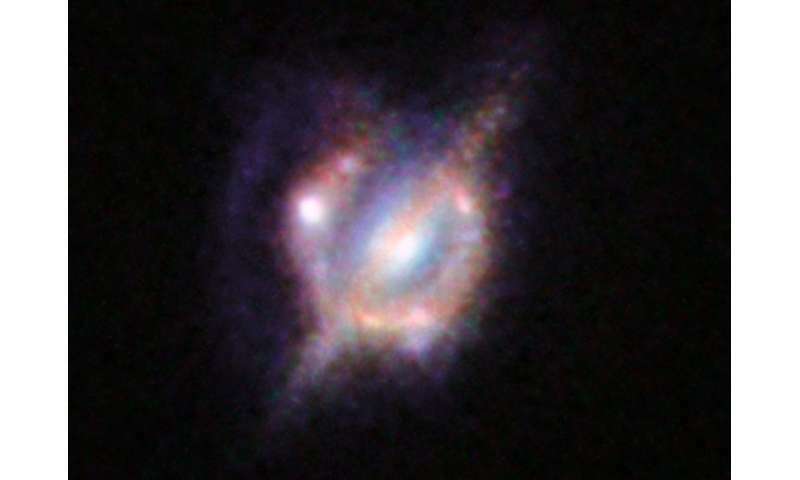 As the Pioneer Anomaly demonstrates, light is slightly blue shifted within intra-galactic space, while it is slightly red-shifted in inter-galactic space. So, with Andromeda being so relatively close, the blue shift therein may actually dominated the red-shift induced thereout, as light propagates there-between. So, it may simply be an incorrect interpretation of the blue shift indication, rather than Andromeda actually moving this way. Anyway, in SQK gravity influence has a limited range, far less than the distance of Andromeda. Maniacs attack! Break out the science police! No other ideas allowed for consideration! Vote for Trump who will build a wall to prevent foreign galaxy migration.